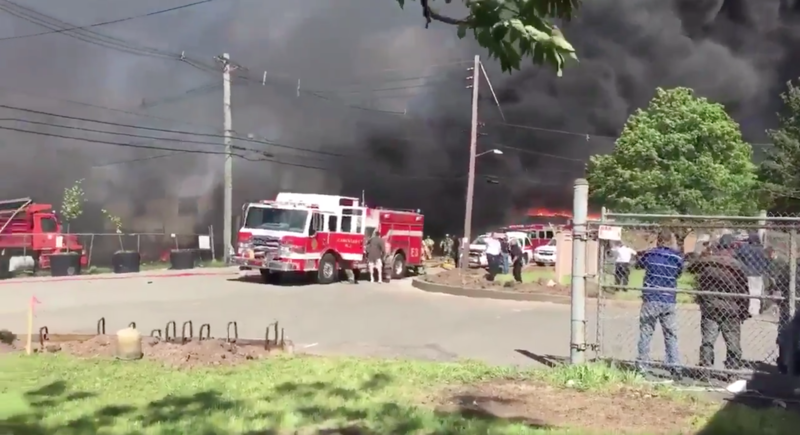 A private jet has crashed in Carlstadt, New Jersey, late Monday afternoon. This story is developing. The Federal Aviation Administration said a Learjet 35 from Philadelphia crashed while attempting to land at Teterboro Airport. The plane went down about 1/4 mile from the airport in a wooded area in Carlstadt, according to the FAA. Police said the plane damaged a warehouse. A thick plume of smoke can be seen rising from the site of the crash. UPDATE: The plane had two crewmembers onboard and both are reported dead, police reported to NBC New York. There were no passengers.